Rendered in a palette of gold and varying shades of green, Amphora’s Berry Bat Vase is strewn with low relief forms of bats, berries, and lily pads. 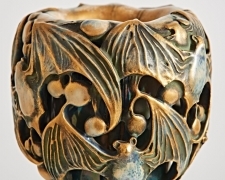 The rounded cap at the top of the vase’s neck is comprised of these sculpted bats and their berries, highlighted in a golden glaze. 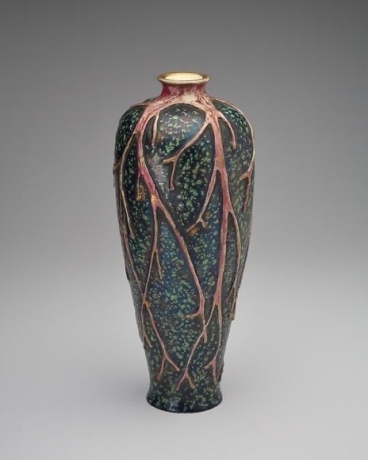 Occasionally adorned with more berries, thin vines travel down the vase’s narrow neck and culminate in lily pads set against an iridescent background. 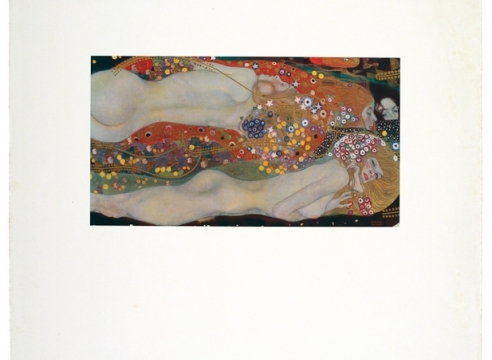 The bat was a popular motif of Art Nouveau style. Marks: On the bottom of the vase read “Turn-Teplitz - Bohemia” and “RStK”, which were used by the Amphora manufacture between 1892 and 1905.